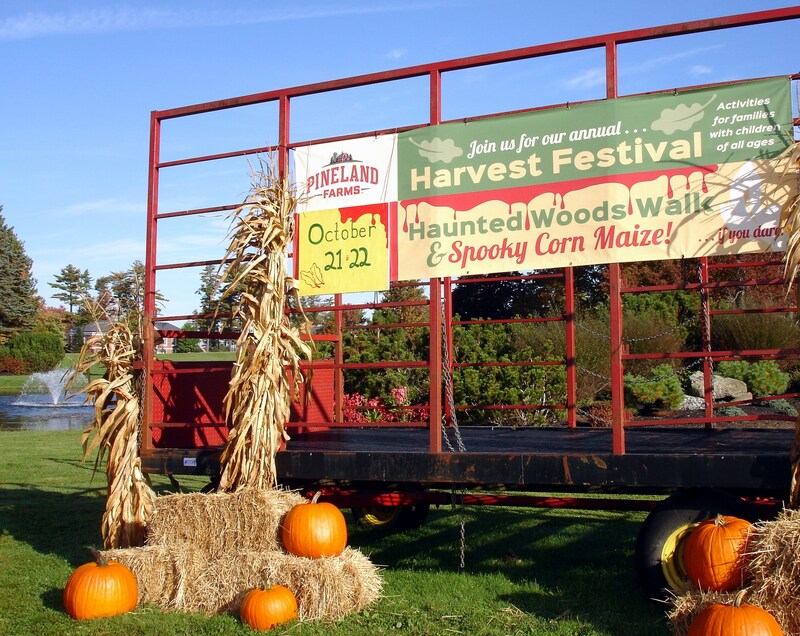 Pineland Farms is gearing up for its annual Fall Festival and Haunted Woods Walks, which include a number of spooky activities. The festival admission is $6 per person. Costumes are highly encouraged. Buy tickets at The Market and Welcome Center, 15 Farm View Drive, New Gloucester. For more information, call 650-3031 or email education@pinelandfarms.org. Join in on a spooky corn maize and haunted woods walk starting at the Pineland Farms Education Barn, taking place both Friday, Oct. 21, and Saturday, Oct. 22. Walks will leave every 20 minutes between 6-9 p.m., beginning with an optional trip through the corn maize and finishing with a “scare your pants off” journey through the “haunted” dark forest. Walks are to be held rain or shine, and flashlights are required. Due to the event’s popularity, the number of tickets available each night is limited to 600. Tickets cost $6 per person and are available online at https://shop.pinelandfarms.org, Classes & Events. For more information, call 650-3031 or email education@pinelandfarms.org. This entry was posted in Events, News, Other and tagged elections, Pineland Farms, Shaker Village. Bookmark the permalink.